Why is this material a superconductor, and that one is not? And how can we deliberately modify materials to enhance their properties? Computational material science using ab-initio calculations can answer these questions. Many-body physics, both in as well as out-of-equilibrium, using state-of-the-art analytical and numerical techniques. 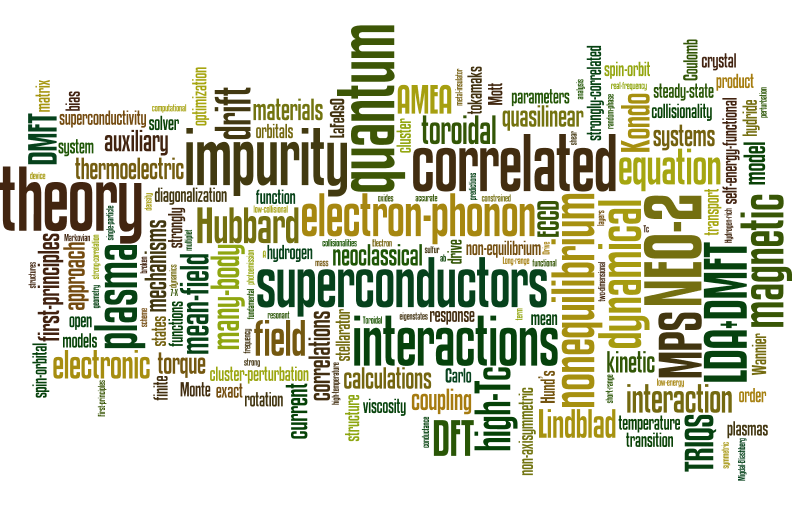 The Institute of Theoretical and Computational Physics is doing research in a variety of fields, and hosts working groups with a focus on quantum many-body theory, computational material science, and theoretical plasma physics. The teams are well embedded into the international scientific community, as well as local and national research initiatives. In the Lead project a consortium of scientists from biomechanical-, civil-, electrical-, and mechanical engineering, computer science, mathematics, and physics from TU Graz has set itself the goal of unraveling the cause and the formation of the various stages of an aortic dissection (AD). Advanced computational tools and algorithms will be developed to assist clinicians with the diagnosis, treatment, and management of AD patients. In addition, related topics such as the optimization of implants, the better design for tissue engineering and of coatings and stent platforms for drug delivery will be investigated. In particular, new multiscale constitutive models along with Bayesian model validation, parameter estimatation and confidence evaluation techniques will be developed, which allow the simulation of the rupture of aortic tissue and propagation of the false lumen. The development of thrombus in the false lumen will be modeled by using the theory of porous media, while the blood will be modeled as a non-Newtonian fluid. The 3D geometry of patient-specific morphologies will be inferred from medical images by novel inversion techniques. Finally, computational fluid-structure interaction simulations will be performed in order to investigate the wall stresses, the hemodynamics, the false lumen propagation, and the thrombus formation and growth, etc. In addition, the 3D computational simulation results will be visualized by virtual reality techniques. We expect that this project will lead to a more effective treatment of this life-threatening desease. The Lead project will be carried out in the frame of the Graz Center of Computational Engineering (GGCE), which has been founded in 2016 as an interdisciplinary cooperation platform for basic research in the realm of computational science and engineering. The mission of GCCE is to improve computational techniques and its applicability by bringing together the expertise of leading scientists form different areas. Office hours: Tuesday - Thursday 9:00 - 12:00 a.m.